SinArts will be showing works by China’s very first activist graffiti artist. One of the first artist to draw me into the fascinating world of contemporary art. Zhang Dali’s oeuvre has inspired me many times over. 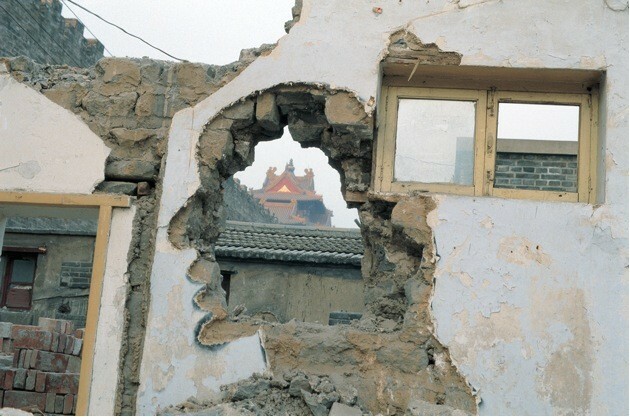 We will present work from the Destruction series as well as 2nd Histories. The gallery will also show some amazing paintings by Sheng Qi. Known for his huge paintings of Mao Zedong being toppled on Tian an’men Square, we will be showing work reacting to everyday living conditions of people living in today’s Chinese cities. The exhibition will oppose these with beautiful photographs of Shen Wei, who shows the magnificent beauty of the Chinese countryside and manages to draw us into fragile details in a series of works he has recently successfully shown in his solo Show at Flowers Gallery in New York. Lastly, SinArts will show works from Chen Hangfeng’s Invasive series in which he plants alien species and forms in common landscapes discovering how cultures and societies influence and eventually can overtake one another.